This recipe was developed by Christopher Koetke, CEC, CCE, HAAC, vice president, Kendall College School of Culinary Arts and Laureate Universities International Center of Excellence in Culinary Arts. 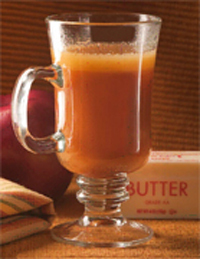 Buttered Caramel Apple Toddy Kendall College taste great. From dinner recipes, budget menus and healthy diet selections, you’ll easily find any recipe you need.